Land Of This Guy » Order the Book! Home » Order the Book! 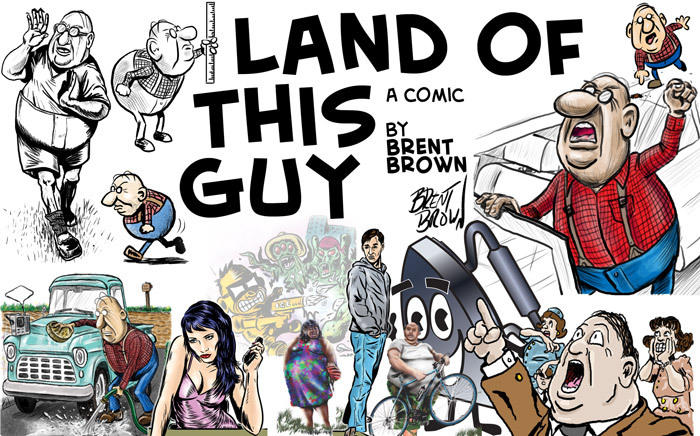 Get the new Brent Brown LAND OF THIS GUY compilation of the best and least horrible comics about (and mostly not about, to make it more marketable to non-locals) the local area, as published in the Mountain Xpress paper, from the past 5 years! It is 62 pages of color (and some black and white) comics hilarity with engrossing, behind-the-scenes paragraphs about each comic by the author and artist.